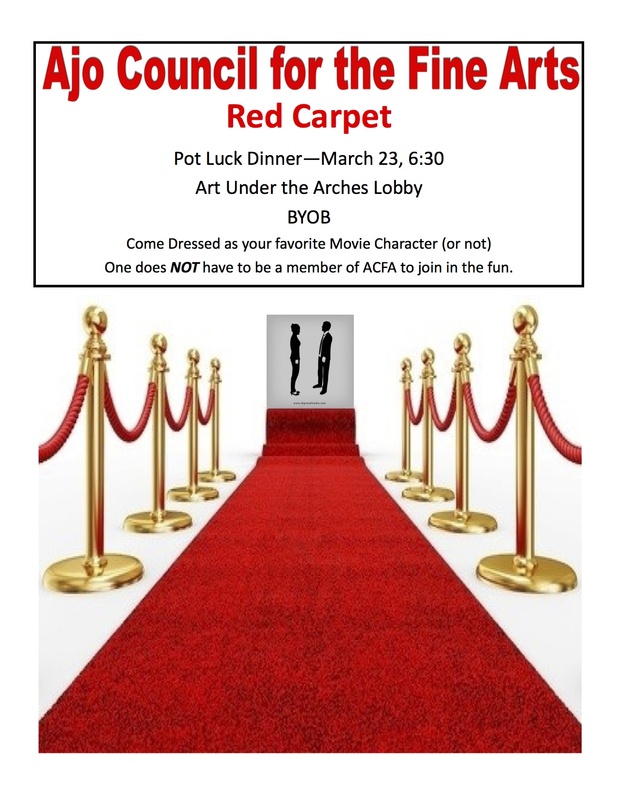 ACFA — the Ajo Council for the Fine Arts — invites everyone to gather for a potluck in the lobby next to Art Under the Arches Gallery in the Plaza. Bring a dish to share, your plate and cutlery, and whatever beverage you’d like to enjoy. Never heard of ACFA? This is a fun way to learn about this creative group. It includes artists and actors along with people who enjoy music and theater. Some like to attend events, others offer to help with promotion and behind the scenes jobs. If you’re curious, come join us! 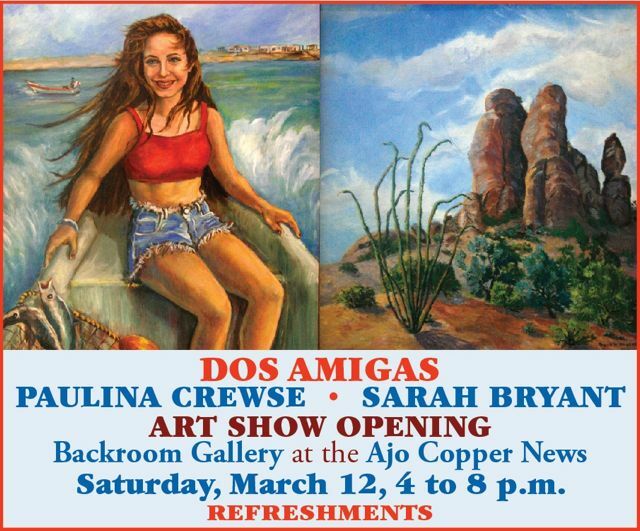 The Backroom Gallery at the Ajo Copper News is featuring an art show with work by Paulina Reyna Crewse and the late Sarah Bryant. The work includes portraits and local landscapes. The opening is Saturday March 12, from 4 to 8 pm. The Cabeza Prieta Natural History Association’s annual photography show opened March 7 and runs to March 19. It’s located in the foyer next to Art Under the Arches Gallery, in Ajo. This show is part of the Sonoran Shindig, a festival celebrating the Sonoran Desert with live entertainment, food, vendors, informational booths and activities. Both amateur and professional photographers are invited to submit entries in one of 6 categories. There is also a Best in Show winner. Winners are chosen by popular vote. You can choose your favorites, mark them on the entry form and drop it in the ballot box. Winners will be announced at the Shindig in the Plaza on Saturday March 19. Joyce Dodd Harcharik’s colorful brush strokes record the everyday lives of people of various cultures, along with the buildings, plants and animals that decorate their lives. The Ajo Library is hosting a show of her work this month. The opening reception is Monday March 14 at 3 pm. Everyone is welcome — meet the artist and enjoy refreshments. Diane Carnright is the featured artist this month at Ajo’s Art Under the Arches Gallery. The show, along with refreshments, opens Thursday March 4 at 5:30 pm. It runs to the end of March.